A close family member of mine got married in Hawaii several years ago, and it was such a beautiful and fun wedding. The weather was perfect, the food was incredible, and the music was inspiring. The couple looked so in love, and the Hawaiian traditions we got to experience are something we’ll never forget. My fellow attendees and I aren’t the only ones who think Hawaii is on a whole ‘nother level in terms of romance. In fact, Travel and Leisure says Honolulu, its capital, is one of the most romantic cities in the world. If you’re single and live in “the Big Pineapple,” here are 9 ways to inject more romance into your life. I’m willing to bet you know someone (or someone who knows someone) who’s tried online dating. It’s the most efficient way to date — not to mention the easiest and most enjoyable. Forget the awkward setups by your friends, approaching strangers while you’re out, or the possibility of getting fired by your boss because you’re dating a coworker. Say goodbye to all that mess and join the masses by checking out the following three dating sites. Match.com is like the high chief of the dating sites tribe — it’s the leader and has set the tone for what every other platform does. Founded more than two decades ago, Match was the first dating site, the first to reach a membership of millions, the first with a subscription model, the first to launch sister sites, and so on. Not to mention it’s the driving force behind the most first dates, second dates, relationships, and marriages in the United States. A sapiosexual is someone who’s attracted to intelligence more so than appearance, and studies have shown it’s one of the most desirable characteristics people look for in a date or partner. With more than 80% of members holding a bachelor’s, master’s, and/or doctorate degree, Elite Singles strives to connect astute singles and their admirers. And it’s working — more than 2,500 people find love on the site every month. An older family member of mine had the worst experience when she started online dating because she chose the first site she came across. She ended up being surrounded by people who weren’t in her age range, and she spent more time filtering through profiles than actually making matches. We’re here to make sure other single seniors don’t make the same mistake, so we’re letting you know about OurTime. It’s just for over-50 daters and offers only the most necessary features for finding companionship (no bells and whistles here). Black men and women make up only about 1% of of Honolulu’s population, which must sound pretty frustrating to singles in the city who want to date within the same race. BlackPeopleMeet is the solution to this problem, though. This dating site sees more than 1.4 million black and biracial visitors a month, and counting, and has advanced filtering features so you can narrow down prospects by your location (even to the mile). Smartphones became widespread around 2007, and soon after, so did dating apps. Their goal was to make the online dating process even easier than dating sites were making it, and they’ve certainly accomplished that. Today, there are dating apps for everyone and everything, including farmers, vegans, and people who hate the same stuff (e.g., slow walkers). But sometimes it’s best to go with a mainstream app, like the three we’ve listed below, that can reach a larger audience and help you search for prospective dates in various ways. In the 2004 movie “Sideways,” Miles (Paul Giamatti) meets Maya (Virginia Madsen) while drinking and dining at the bar of the restaurant she works at. They get along really well, but Miles doesn’t pursue anything because he assumes she’s married. It’s a really famous movie, so you’ll have to watch it to see what happens (don’t want to ruin it for ya). But it does show that with a good bar, a good drink, and good company, you never know where your night, or life, will end up. Here are seven Honolulu bars that just might take your love life from nonexistent to amazing! 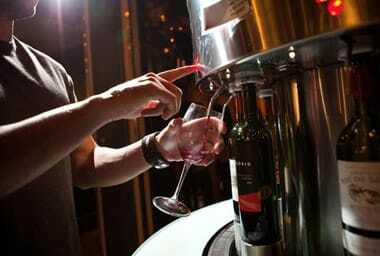 Amuse is a wine bar located inside a furniture store, but don't let that fool you. It's popular and has a 4-star rating on Yelp. Happy hours occur every weeknight between 5 p.m. and 7 p.m., and you can find anything from Prosecco and Cabernet Sauvignon on the menu. Tasty treats include patatas bravas, avocado toast, edamame, yukari-spiced calamari, and roast pork kiwale. Bar 35 calls itself "Downtown Chinatown's Home Bar" and the "Home of Honolulu's Happiest Happy Hour," and it looks like patrons would agree. 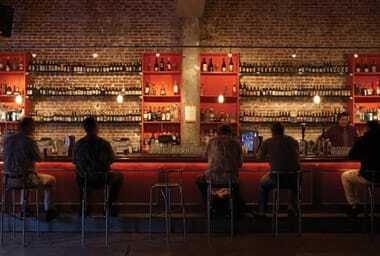 "Bar 35 should seriously be considered the best nightlife in Chinatown. This place is crackin' on the weekends. Don't believe me? Go ahead and see for yourself!" said Porsche C. Opened in 2005, Bar 35 offers over 175 beers, over 40 liquors and cocktails, and dozens of savory bites. 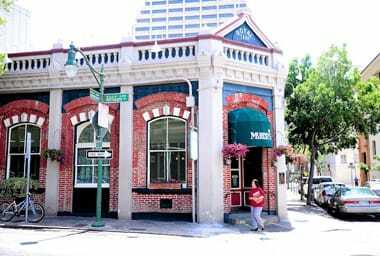 You might not think of Irish pubs when you think of Honolulu, but you should, particularly Murphy's Bar and Grill. Head to the Financial District, and that's where you'll find Murphy's, which has been serving locals and visitors since 1891. Some of our favorite menu items include Guinness on draft, of course, as well as the Dublin Donkey, Murphy's Manhattan, Irish nachos, and hamburger sliders. 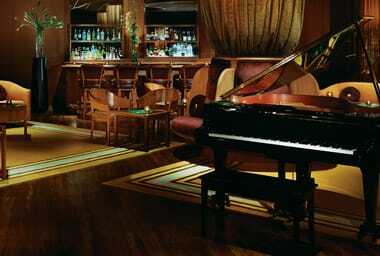 Lewers Lounge is in the heart of the Halekulani hotel, one of the most well-known in the whole state. It's open every day from 7 p.m. to 1 a.m. and serves up traditional and specialty cocktails as well as delectable appetizers and live jazz. Make sure you dress the part, too, because T-shirts, tank tops, beachwear, exercise attire, and flip-flops aren't allowed. 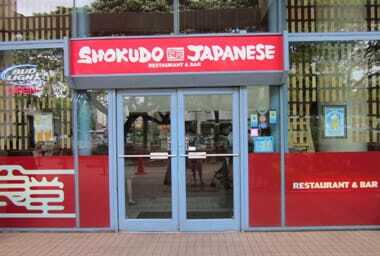 Shokudo is a laid-back Japanese restaurant and bar that's won Honolulu Magazine's Hale 'Aina Award two years in a row. It's motto is "Great people make a great restaurant," and the team works hard to provide the best dining and drinking experience possible. Enjoy sushi, tempura, noodle and rice dishes, as well as various sakes and beers. 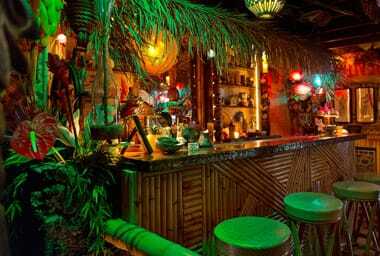 Arnold's Beach Bar & Grill claims to be "Waikiki's Last Tiki Bar!" Here, you'll find live music every day from 5 p.m. to 8 p.m. performed by folks like Chadwick Davis and Chris Murphy. Drink specials include Mai Tai Tiki Tea, Blue Hawaii Margaritas, and local drafts (e.g., Kona's Lavaman Red Ale and Castaway IPA). The bacon popcorn is free, and other items start at $3.50 and include hot dogs, chips and salsa, and pulled pork sandwiches. "Local music, local flavor," is what Mai Tai Bar brings to Honolulu, and Kylie K. is just one of the patrons who agrees: "Great spot for locals and tourists who are looking for drinks, pupus, and music! The food is just as good. The great service is also another thing that's consistent." In 2015, Honolulu Pulse named it as the best bar and the best bar for day drinking, so you don't want to pass on this spot! Speed dating is kind of like picking out produce at the market — you’re presented with a ton of options (or dates), you take a look at them (or talk with them), and then you make your final decision about which items (or people) are right for you. HI Speed Dating is a company dedicated to bringing Hawaiian singles together in an entertaining and relaxing atmosphere, and you can find out more about upcoming events by clicking the blue link. One of my good friends, who also happens to be single, hates bowling. She always has, and I think it’s because of all the times she played as a kid. The amusement has just worn off. However, I think she’d change her mind if she went bowling during a singles event, which is just one of the numerous activities put on by groups throughout Honolulu. Singles events provide opportunities for not just meeting new people but for looking at the ordinary in a new way. 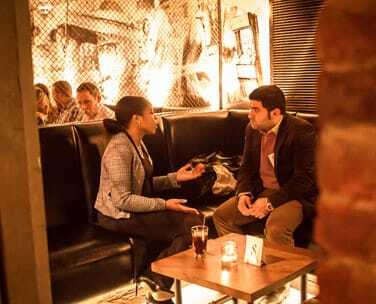 Visit Meetup.com to see when and where a singles event near you is taking place. Honolulu is a paradise for people who love to dance — you’ve got clubs for salsa, rap and hip-hop, rock, traditional Hawaiian music, line dancing, and almost any genre you can think of. You’ve even got comedy clubs for something off the beaten path. You can learn more by reading 10Best’s list below, and then get out there to show off your moves and potentially find a date! Chat rooms were invented in the 1970s, but they’ve come a long way since then. Back then, you had to have the PLATO System, and you could only chat with five people at a time (watching the letters appear as they typed). Today, you can be a Mac or Windows user, have an iPhone or Android, be in Illinois or Israel, and talk with as many people as you want (and not wait forever for them to finish their sentences). 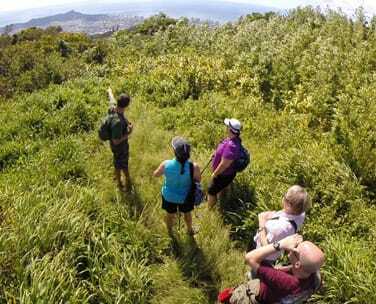 We’ve chosen five chat rooms that we’ve found to be the go-to sites for Honolulu singles, thanks to their free registration and communication features. Personals services used to just mean the classified sections of newspapers, but now that term includes dating sites and other online platforms. In some cases, as with Craigslist, they’re basically synonymous. In other cases, like with DateHookup.com, they have slightly different meanings and processes. Either way, though, you’ll still get the same result — a quick and simple experience that’ll lead you to a bunch of compatible dates. 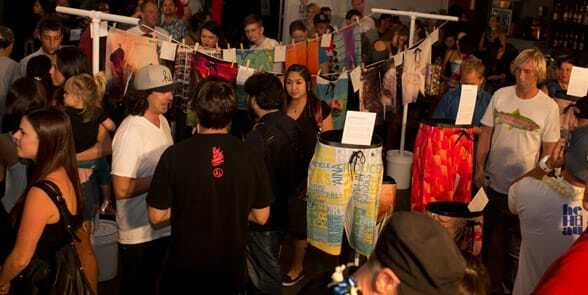 First Friday is a monthly event held in downtown Honolulu (Chinatown, specifically). This is when boutiques, restaurants, bars, clubs, art galleries, and other local businesses offer free exhibits and entertainment as well as food and drink specials. 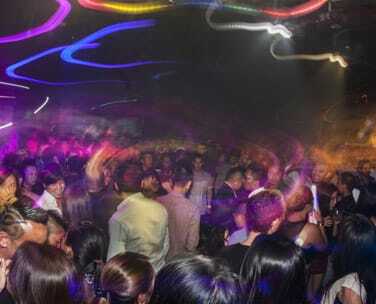 The main activities happen between 5 p.m. and 9 p.m., but the fun goes on into the wee hours of the night. Most of the time, whatever money you spend will go toward a nonprofit, like the Susan G. Komen Center, or maintaining the event. On the first Friday of each month, downtown Honolulu galleries, bars, restaurants, and other businesses host art exhibits, live shows, and other activities, so go mingle with fellow residents! Take a group of friends (it’s always easier to start a conversation with strangers that way), grab a drink, and explore the area like you’ve never done before. The more things you do and the more interests you have, the more people you’ll meet. And the more people you meet, the more likely you’ll be to find that special someone. Find Your Ideal Match at the "Crossroads of the Pacific!" My family member has been married to her husband for about 10 years now, and they return to Hawaii almost every year. It holds a special place in their heart, and I’d say the same can be said for me and the others who went to the wedding. Honolulu is the cherry on top of the romantic sundae that is Hawaii, and singles in the city should start digging in as soon as they can. Follow some of the tips above, and soon you’ll be saying aloha to a brand new dating future!